Please drop us a line including postal adress! May be there will be some possibilities later on! This music is spanning the entire wold! Hi, I'm Sungha Jung from South Korea. I had been watching my dad play the guitar for awhile before I finally jumped on it myself three years ago. Currently, I am taking drum lessons and teaching myself fingerstyle guitar. I used to not have tabs for the music that I played in my videos. I just listen and pick them up directly from the sound source in videos available on the internet. However, recently, I have started playing with original tabs whenever they are available to me by courtesy of the authors. I'm very grateful to those prominent guitarists who have had a great influence on my guitar playing. I'll continue to study them and learn more about interpretation of music and various playing techniques. Last, but certainly not least, I can't thank Ulli Bogershausen enough for being my musical inspiration. Most people are familiar with the name of Sungha Jung through the Internet. YouTube has been existing since 2005 and went up through the roof right from the beginning. Sungha, still a child back then, was making use of the possibilities this platform was offering by the very simple handling of uploads and downloads of videos. In the meantime his videos have been watched more than unbelievable 330 million times, amongst them single videos that have been watched more than 20 million times. Virtually every minute there's a new comment post, while he gathers fans around himself and inspires guitarists worldwide like a pop star . Since 2008 Sungha has been increasingly on tour with the crème de la crème of the acoustic guitar scene. He's filling huge concert halls in Asia. In Europe and the United States he's still a rare guest, though. But that's about to change. When Sungha Jung was in Germany in 2010 he returned to Asia with a new album in his suitcase - his first album "Perfect Blue". Now he's been in Germany another time to record his second album "Irony". This album has also been recorded together with his mentor Ulli Bögershausen and producer Thomas Kessler. It is a remarkable milestone in the development of this young artist! Many by Sungha Jung originally composed song mix with his own personal interpretations and arrangements of known material. It's plain to see on those images that there is a young man standing in front of us - not a child anymore. He is existing in reality - not just a virtual Internet star. He's on his way in a world filled with album publications and live concerts. The child will remain in our remembrance - where it all began. But it's time to recognize him as a grown musician, physically as well as musically. Once you've been listening to the new album you will take note of that quickly. Viele Saiten e.V. accompanied Sungha during his public life on Youtube. Personally met him first in 2009 at Lakewood factory together with his inspiration Ulli Bögershausen. Today we are very happy our early contacts helped to welcome him on stage in Blomberg. There is a fantastic artist on his way for an international carreer. Thanks for the stopover in Blomberg, Sungha! As you can see easily: a very normal youth in west Sweden so far. Gabriella was really happy with it and practised hours and hours every day, always listening and watching the video's of Sungha or other Youtube heros. 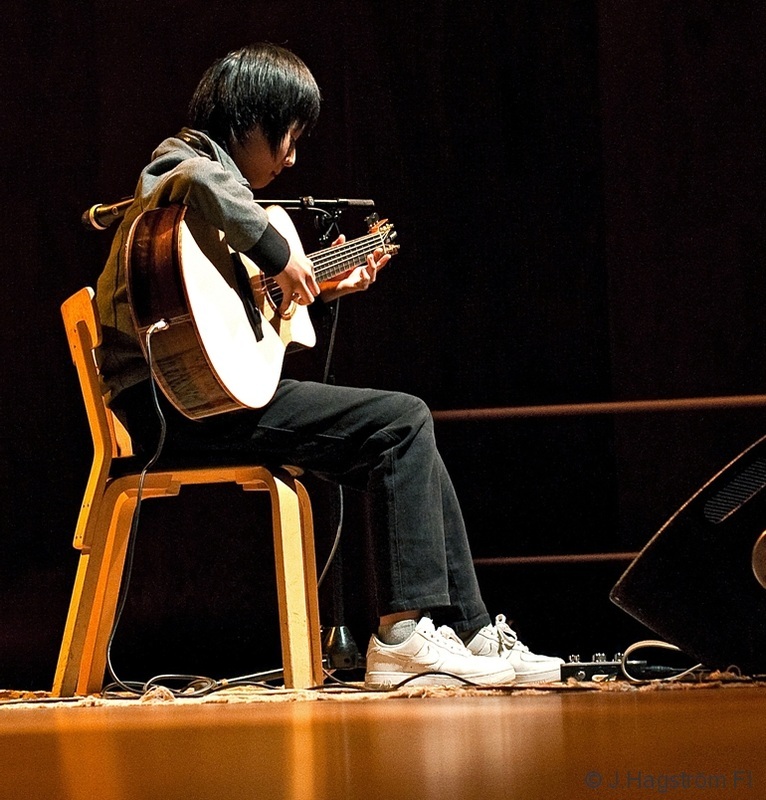 At this time Sungha already was well known in the internet world for his guitar skills. 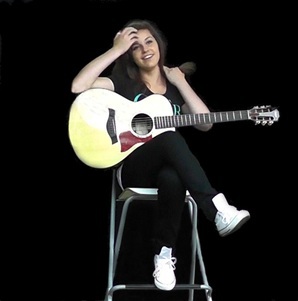 On Jan 24, 2010 she uploaded her first guitar video on Youtube, one year after starting with the guitar in general and only three month after her decision "... to become a professional fingerstyle guitarist ... " ! Due to some smart tips from Germany Gabriella was able to contact her guitar idol Sungha via his PR manager Dee Kim - just some days before Sungha was playing a gig in Sweden. "If you are going to visit Sungha's gig in Växjö just ask you want to meet him and want to play with him on stage" this German was writing in an email. Unbelievable ... unreal ... unexpected ... a dream only ... Gariella indeed received an invitation to meet Sungha and his staff and she got the chance to play on the same stage and together with her idol! What a blast and what a fantastic experience! This short one-day-meeting with Sungha again moved her musical life some big steps forward and so it goes ... "Keep it up Gabriella and don't stop playing! You are absolutely right: Fingerstyler have more fun !!!" Sorry - completely sold out! Please drop us a line and join our waiting list !